The tornado was hovering over the house,’ Amanda Woodley, Bledsoe’s granddaughter, told CNN. ‘It was just a tornado fire over the house. 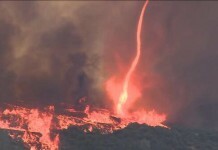 It was the most intense tornado in California history. 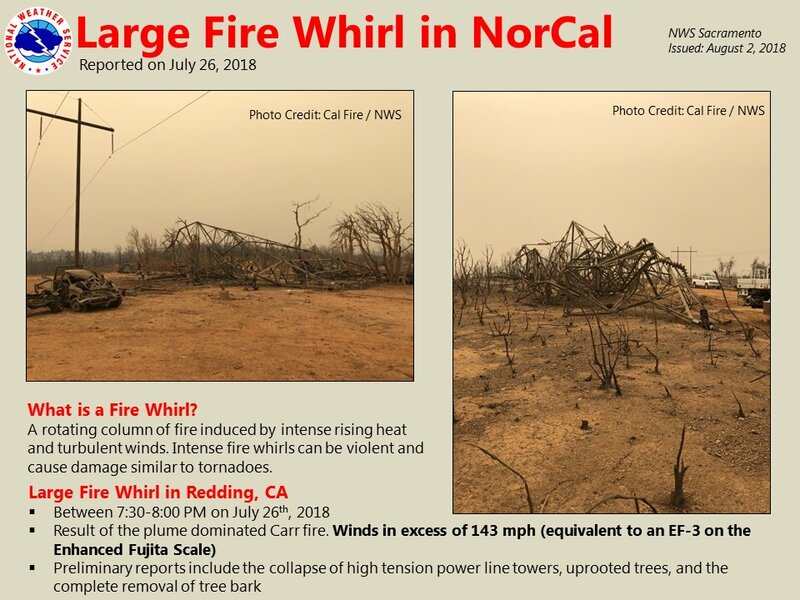 But unlike most tornadoes, this vortex had a swirl of flames that reached an unprecedented 143 mph as it barreled toward Redding and scraped the bark off trees, uprooted trunks and incinerated homes. Trees appeared to be levitating, and branches and sheet-metal roofs seemed to orbit the column, Moore said. Uprooted objects launched into the air ignited mid-flight. Vegetation and homes hundreds of feet from the column also caught fire before the twister arrived, he said. It was as loud as a roaring jet engine. 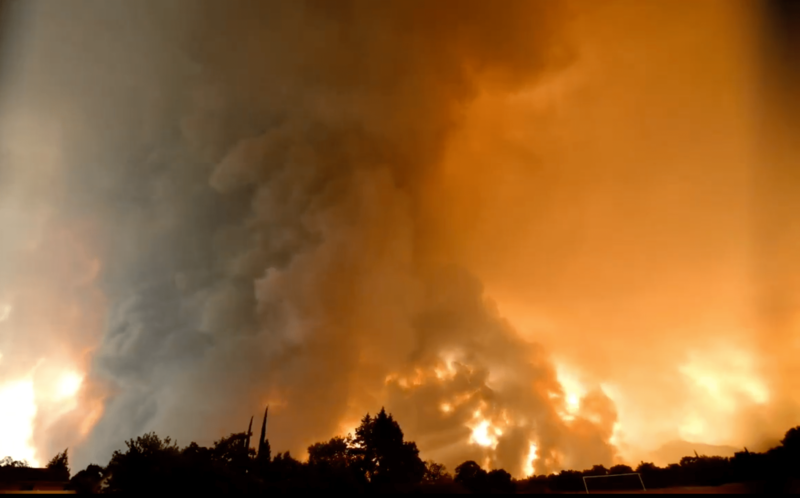 Apocalyptic fire tornado hits Redding in California. With 143 mph winds, it was equivalent to a EF3 tornado. 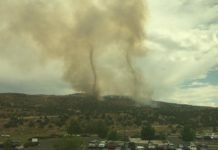 Firenadoes rampaging around that are the equivalent of powerful tornadoes! Hard to get more apocalyptic! 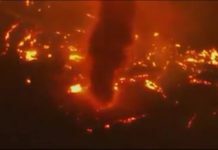 Carr Fire has destroyed more than 1600 structures. CNN’s Michael Smerconish explains how parents of a child killed in the Sandy Hook school shooting are suing Infowars host Alex Jones for defamation for his repeated claims that the massacre was a hoax. It was a HOAX! 3rd dimensional MATRIX with crisis actors and actresses. Victim’s father, Robbie Parker, smiling and laughing just before he started acting as a victim’s father in Sandy Hook School Shooting “scripted” Drama.